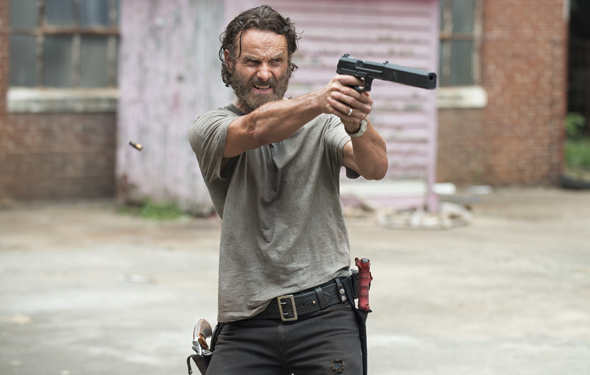 It’s the last episode before the mid-season finale of The Walking Dead, and I’m talking about it on The Mary Sue! I hope you’ll join me over there! Sunday’s episode of The Walking Dead marked the last regular episode of the year before the mid-season finale, airing on November 30th. Though this episode certainly had its moments, it felt like this week’s episode was mostly laying groundwork for next week’s finale. As always, spoiler alert for those not caught up on The Walking Dead. We picked this week’s episode up right where last week’s episode left off, after Carol was brought into the hospital, and Daryl brought Noah back to the church. After Daryl explains what is happening, Rick, Tyreese, Sasha, Daryl, and Noah head back to the hospital to rescue Beth and Carol, while Michonne, Carl, and Father Gabriel stay at the church with Judith.